Selecting a veterinarian is one of the most important decisions that you will make as a pet owner. When you choose Locke A. Taylor Veterinary Hospital in Richmond to be your pet care partner, you can be certain that your pet is receiving quality veterinary care based on the most advanced medical protocols from a welcoming, experienced and dedicated team. The centerpiece of your pet's healthcare plan is regular pet wellness care that includes annual "nose-to-tail" examinations, dental examinations and cleanings, customized vaccinations and parasite prevention. Identifying issues before they become serious is both the key to long-term good health and to keeping the lifetime cost of caring for your pet as low as possible. If your pet does become sick or injured, the experienced veterinarians and medical team are here to provide the compassionate, skilled veterinary care your pet needs. With the aid of state-of-the-art internal medicine, diagnostic and surgical capabilities—supported by a network of sophisticated referral hospitals—we are able to work quickly to get your beloved pet an accurate diagnosis and treatment recommendations that minimize your pet's discomfort and your worry. 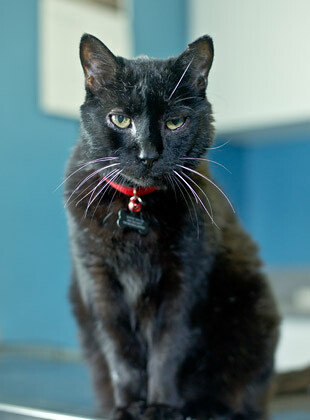 When you bring your pet in to see us, we want you to feel confident your pet is receiving the best care possible. Ask us anything you want to know. The veterinarians and staff at Dr. Taylor's office know that great veterinary care begins with taking the time to get to know your pet, talking with you and giving you all of the information you need to make the right decisions for your pet. We are commited to you and your pet, and our medical team strives to make sure you have the knowledge you need to provide the best possible care for your pet at home. Dr. Locke A. Taylor founded his practice in 1969 with a staff of four. 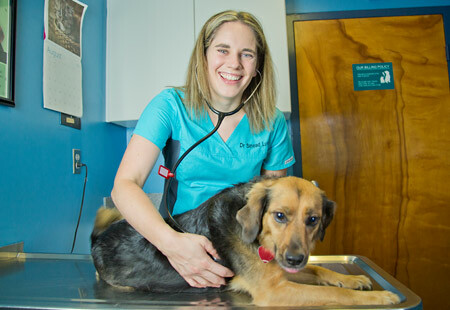 Since then, Locke A. Taylor Veterinary Hospital has grown into a full-service Northside Richmond veterinary hospital serving cats, dogs, birds, reptiles, pocket pets and small farm animals in Richmond, Virginia and the greater Richmond area. Over the years the practice has flourished and still continues to grow. Dr. Taylor and his team provide a range of surgical services, comprehensive treatment options and a vast body of knowledge and expertise from experienced veterinarians and staff. It is Dr. Taylor's goal to make the hospital big enough to serve many clients in the Richmond area while maintaining the individual attention each patient deserves. Please take some time to read about the veterinary services we provide and about why you should trust us with your pet's health, now and for years to come. If you have any questions or would like to schedule an appointment, please email or call (804) 262-8629.